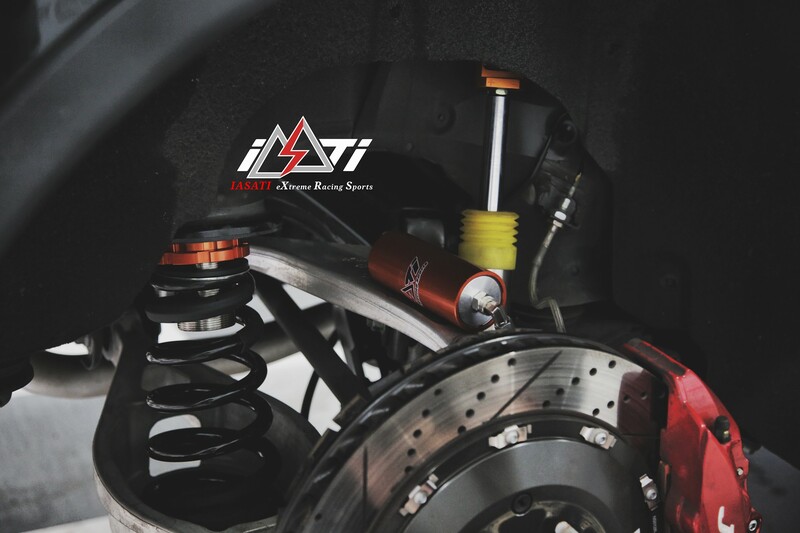 IASATI's shock absorbers focus on user's driving sense, not only improve your driving controlling (supportive) but also not keep the confer comfort. Based on our R&D team long-term experience. We developed four series of shock absorbers. Depends on the user's demand, we have basis upgrade type LS series, Intermediate type RS2 series, High-ranking sporty type RS3 series. And the escalating type with nitrogen bottle, the RS3-Plus series, which is we are going to introduce today. 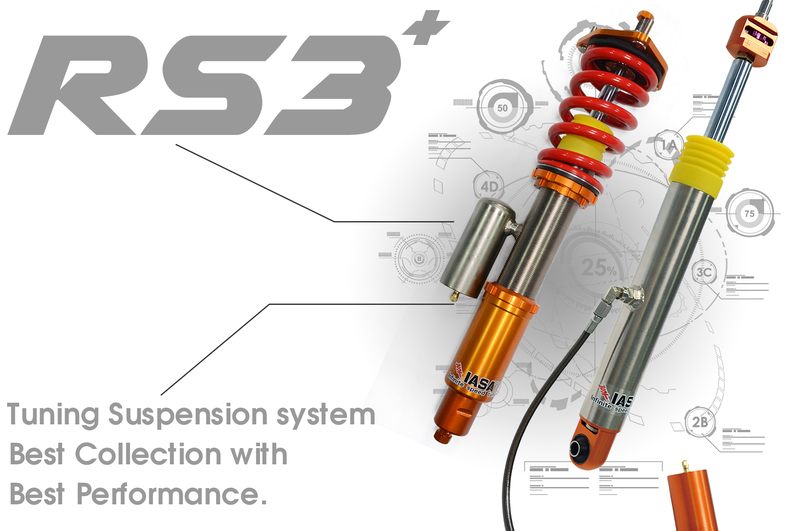 The RS3-Plus continue the RS3 series' 2-way damping setting, but add the nitrogen bottle to increase the inner damper oil. The nitrogen bottle could adjust the telescopic body's pressure and achieve the function of soft and rigidity perform. And the cylinder adjusts the pressure of the expansion body for softness and rigidity. About the Damper, there is an additional chamber containing gas to further slow piston movement. This feature keeps the car level. 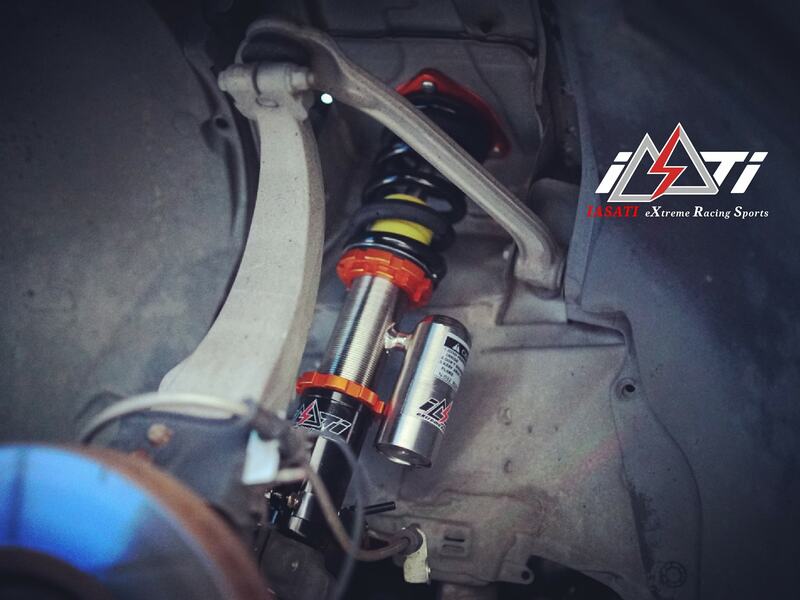 When you use on the intense racing activities will not decrease the performance of the car. It's the best selection for the racing cars using on the track. To ensure that we offer a high-performance suspension kit, we tested not only on the general roads, highways but also on the FIA G2 International Circuit. 1. Type: Twin-tube, with Nitrogen Bottle. －－Rebound side: 24 level adjustable.